MayTec Standard Verbinder 90° for E-slot (profile group 40) | DamenCNC B.V. 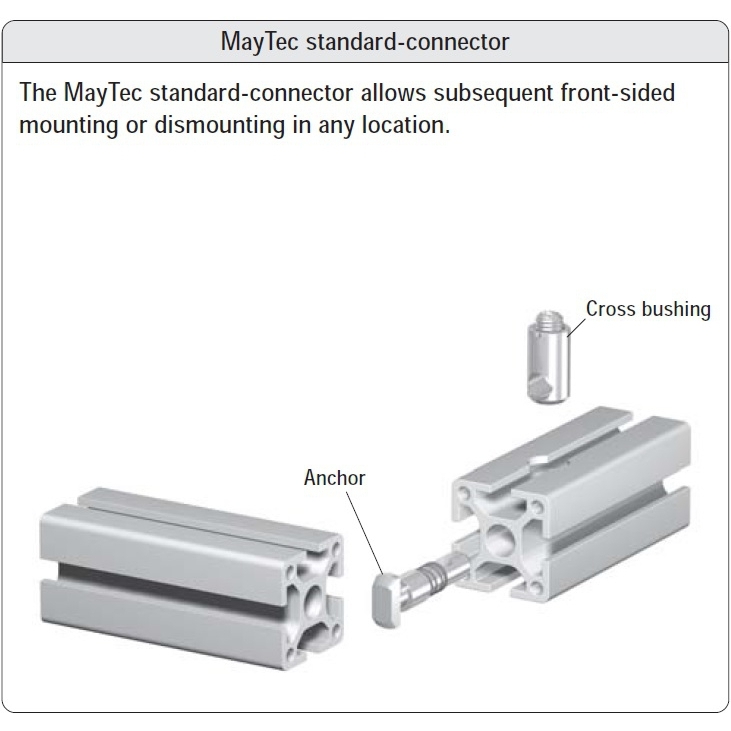 The type of connector most often used with the Maytec System. It's very easy to mount. 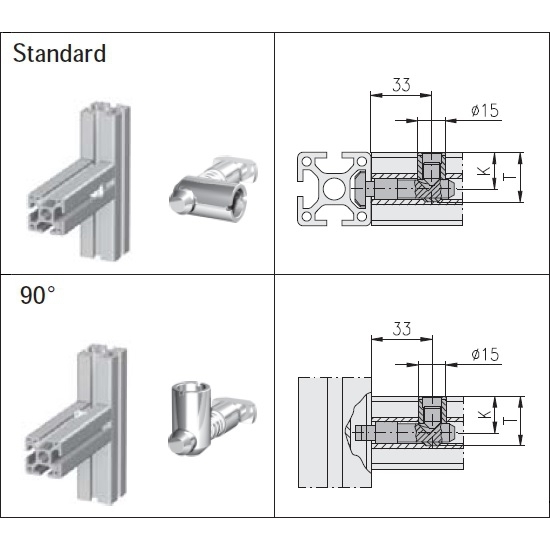 Do keep in mind the profile needs to be machined.